And we’re back with this series, here to help you out to make good dinner choices and to answer the difficult question: “What’s for dinner?” Eggs ‘n Things is for dinner. Here are our Top 3 Dinner Entrees to narrow it down. 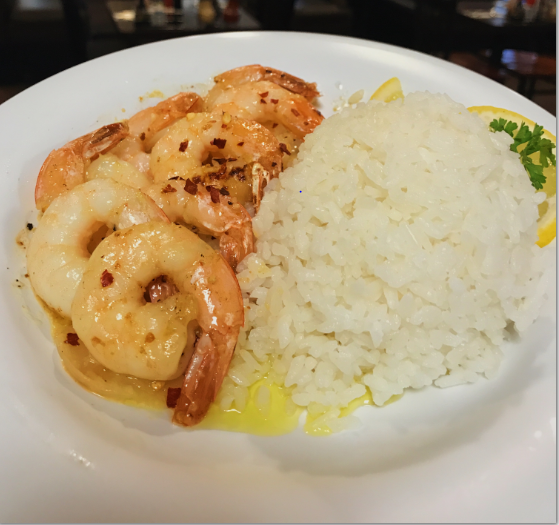 One of our newcomers in the beginning of 2016, the demand for our Garlic Shrimp Plate was outstanding. Sautéed in garlic butter with crushed red peppers on top, we partnered it up with rice and it also comes with a choice of green or potato salad. This dish will definitely make you a little shellfish selfish; you wouldn’t want to share. Another one of our newer dishes, our Hapa Hamburger Steak has been a fan favorite since day one. Hapa literally means “half” or “part” in Hawaiian. 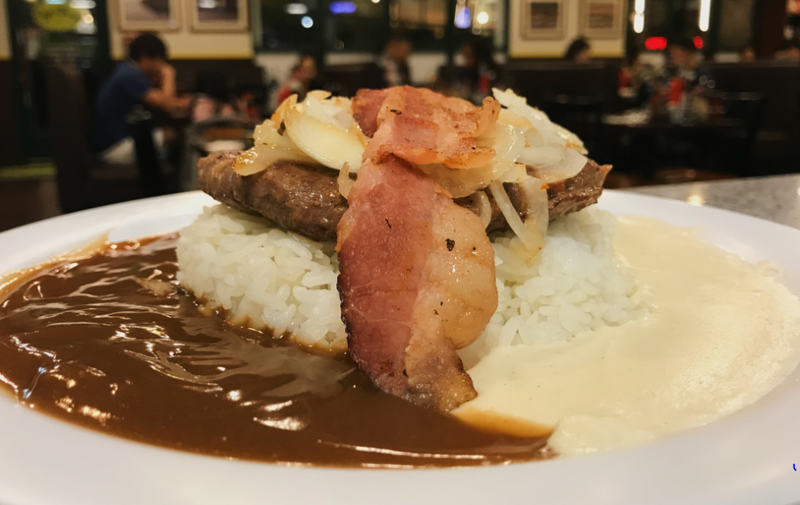 This Hamburger Steak is called a Hapa because it has both our brown and white gravy, and mixing them both is definitely Onolicious. Topped off with a strip of bacon, we don’t question why it’s so popular. 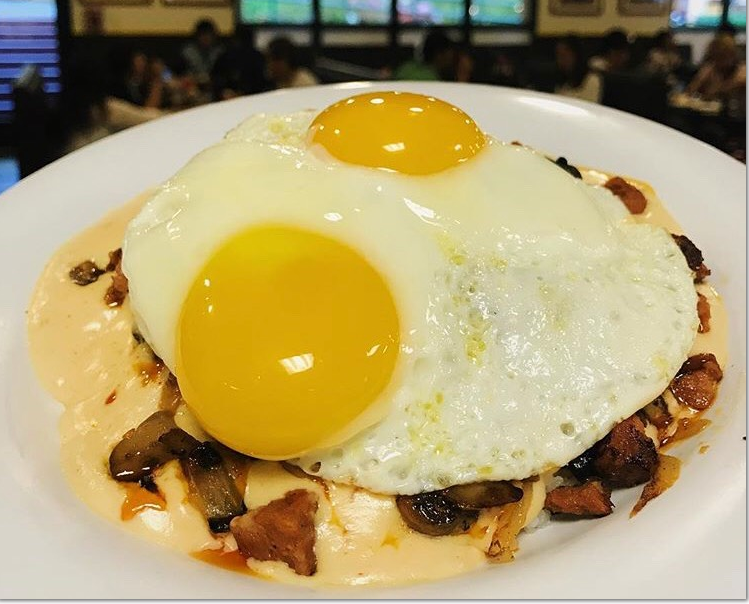 The Paniolo Loco Moco has definitely stood the test of time, being the most popular dinner entrée since we started serving dinner. This loco moco has white gravy, bacon, mushrooms and onions. With just the right amount of everything, it will instantly be your favorite from the first bite. We usually just post three dishes on this series but we have to mention our Chamorro Loco Moco. 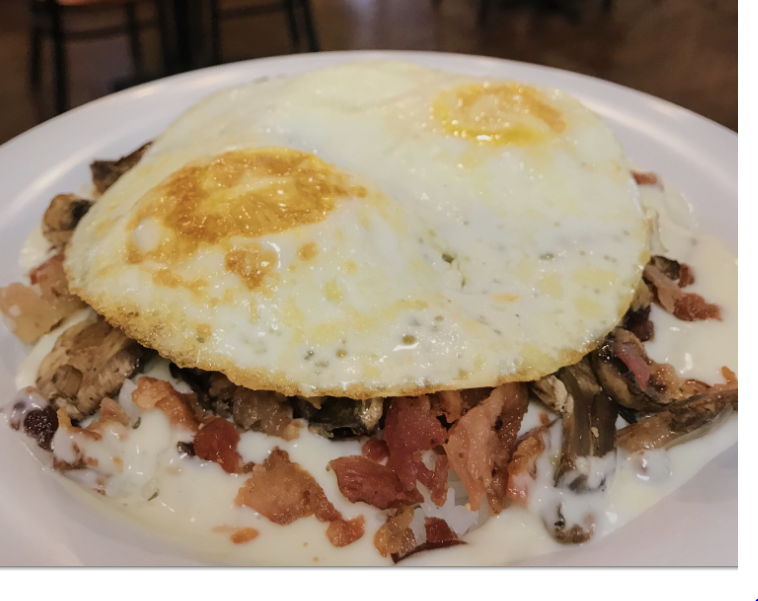 It’s just like a regular loco moco, but it’s a little extra: it has dinanche white gravy, Chamorro sausage, mushrooms and onions. This loco moco mixes both Aloha and Hafa Adai and it’s a favorite for spicy food lovers. These dinner entrees are the most popular ones that everyone, both tourists and locals, order. But if you’re feeling a little adventurous or have any questions with our vast menu, please feel free to ask your server and we’ll be more than happy to help you out.